Set in beautiful Suffolk countryside, Milsoms Kesgrave Hall is a luxurious boutique hotel and restaurant just outside Ipswich. This charming four star Suffolk hotel opened in 2008 and boasts 23 en-suite bedrooms with plenty of wow factor – some even have bathtubs in the rooms and fabulous walk-in showers. Whichever room you choose, you can be sure of a delightful, comfortable stay, not to mention the complimentary wifi, soft drinks and snacks, and full Sky HD TV package thanks to Sky In-Room. Whichever room you choose, you can be sure of a delightful and comfortable stay. A number even feature bathtubs in the rooms and fabulous walk-in showers. 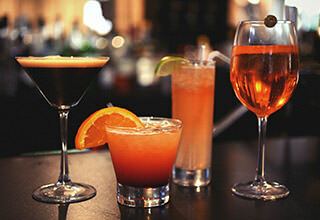 There’s no need to worry about a dress code when enjoying a meal or drink here. Whether you’re wearing a suit or muddy walking boots, you’ll will fit right in. 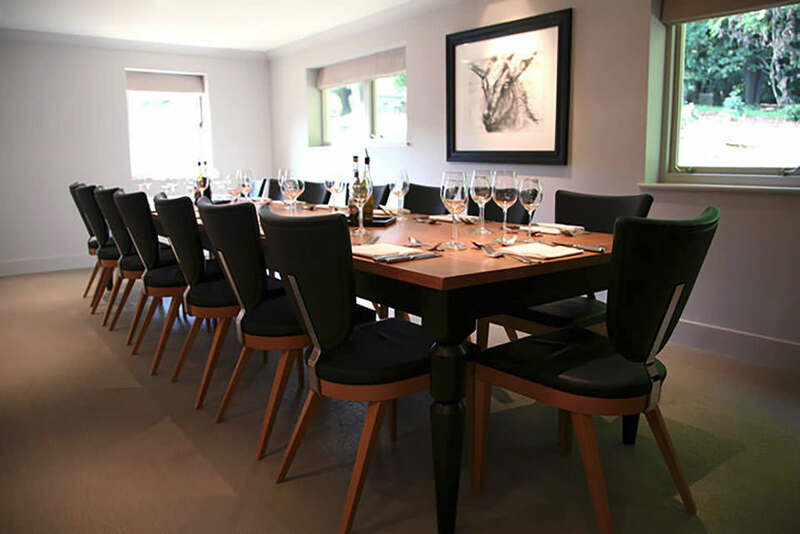 The Bunker has two purpose-built meeting and private dining rooms, with capacity for 18 guests. Both spaces enjoy breakout areas, as well as satellite kitchens. 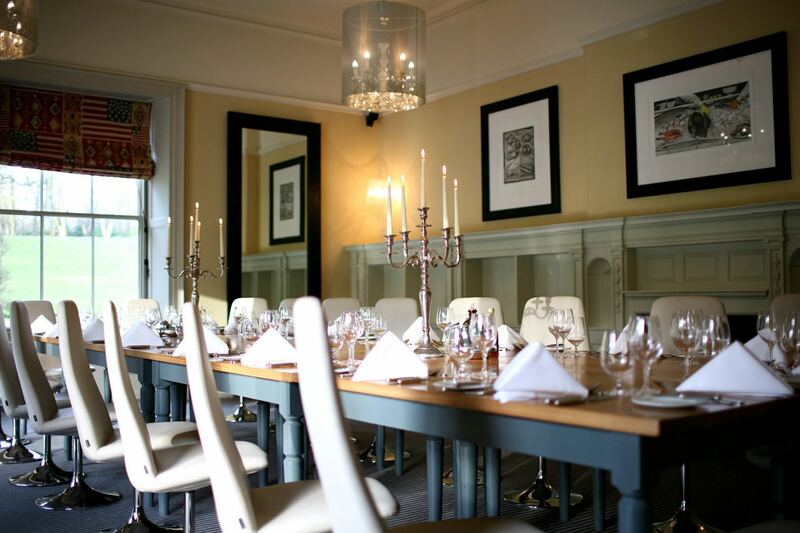 Perfect for events, private dining or meetings, The Mess accommodates 24 people, is located on the ground floor and has French windows looking out over the gardens. The Hangar at Milsoms Kesgrave Hall is the newest and most exciting wedding venue in Suffolk. Just minutes from Ipswich, this is the perfect wedding location. 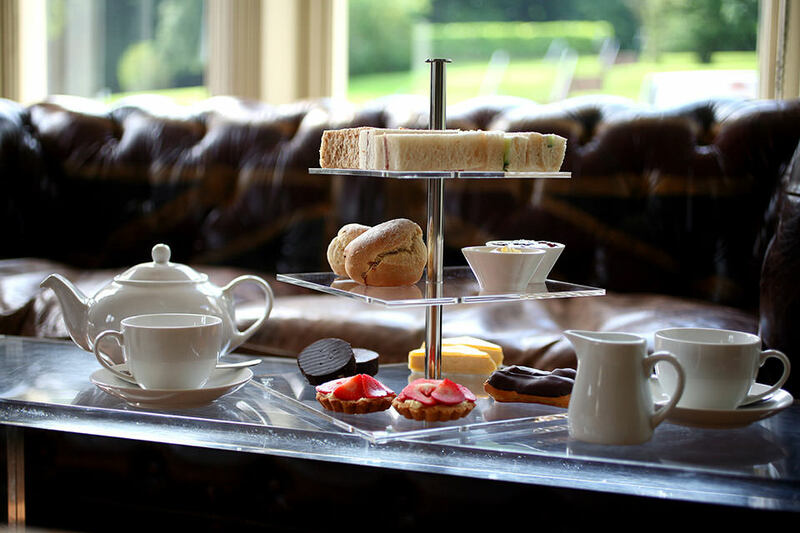 Enjoy a proper afternoon tea at Milsoms Kesgrave Hall every afternoon. Delicious delicious sandwiches, scones and cakes are served between 3pm and 5pm every day. 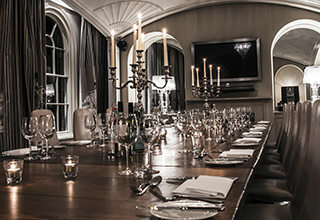 Ideal for birthday parties, anniversary celebrations or business meetings. We have three great event and party venues to hire, available for private functions at Milsoms Kesgrave Hall. Bunker 1 and Bunker 2 hold 18 and 14 guests respectively and are unique dining spaces set apart from the main. Enjoy a private satellite kitchen, chef and dedicated member of the front of house team, as well as your own terrace if the weather is good. Alternatively, The Mess can accommodate up to 24 people and is located on the ground floor, with French windows looking out over the gardens. State-of-the-art audio visual equipment is included, along with a member of the front of house team. Afternoon Tea – Available every day! Treat a loved one or enjoy with friends. We serve a proper afternoon tea between 3pm and 5pm every afternoon. 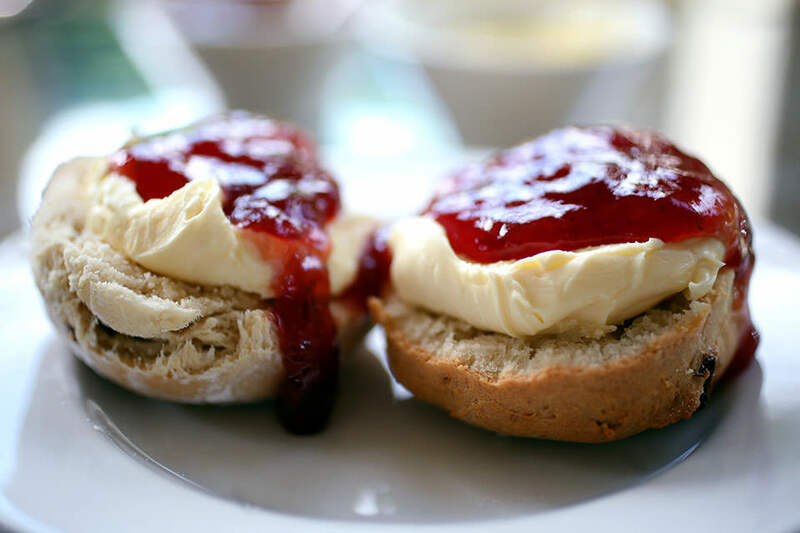 Join us at Milsoms Kesgrave Hall for a delicious selection of sandwiches, scones with jam and clotted cream, and indulgent cakes. 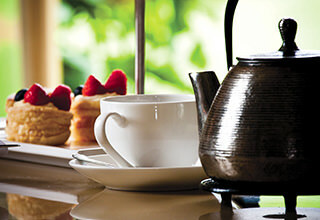 Afternoon tea can be taken in the lounge or outside on the terrace. Served every day from 3pm to 5pm. 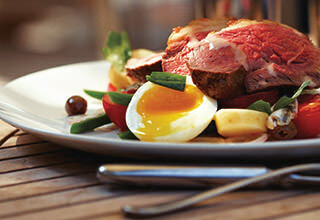 Only £19.50 per person or £28.50 if you’d like to include a glass of Champagne! 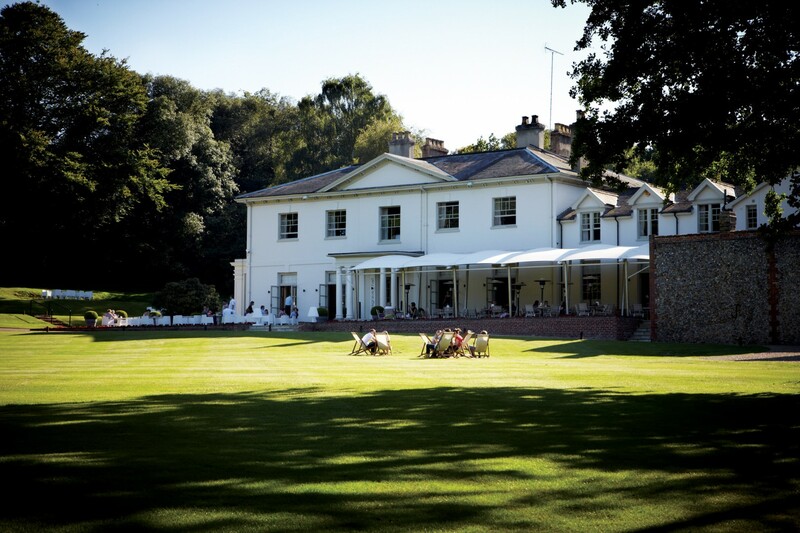 Ideal Suffolk venues for meetings, corporate events and away days. Choose from our three superb private conference rooms, accommodating up to 24 delegates, and select a daily or 24-hour delegate rate. We can even arrange activities such as archery and laser clay pigeon shooting in the hotel grounds. The Mess is on the ground floor and has fabulous French windows looking out onto the gardens. Audio-visual equipment, great surroundings and excellent service mean you’ll be able to focus on the business in hand. Alternatively, The Bunker has two purpose-built meeting rooms – Bunker 1 and Bunker 2 – both with audio-visual equipment, indoor and outdoor breakout areas, satellite kitchens, fully-stocked fridges and fresh coffee. To discuss your meeting needs, give us a call on 01473 333741. The Hangar at Milsoms Kesgrave Hall (Ipswich) is Suffolk’s newest and definitely most exciting wedding and party venue. 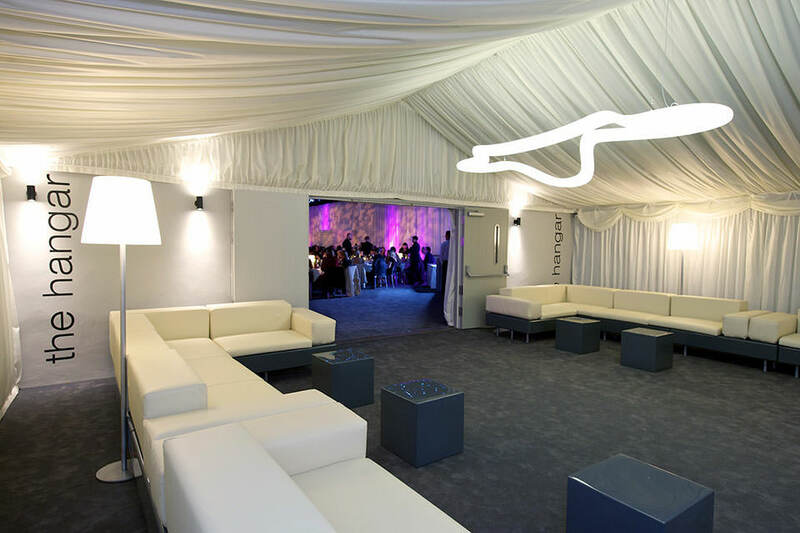 Famously set within a ‘stadium of woodland’ The Hangar has capacity for up to 300 guests and has been specifically designed for weddings, parties, product launches, corporate and private events. 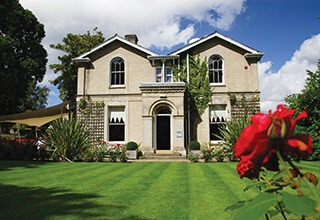 Adjacent to Milsoms Kesgrave Hall (a 23-bedroom hotel), The Hangar has its own turning circle for arriving guests, with steps leading to the upper tiered landscaped gardens and woodland. Guests enter through a uniquely designed reception, before heading to the main event and the star clothed interior. It’s a stunning Suffolk wedding and party venue that we encourage you to view. 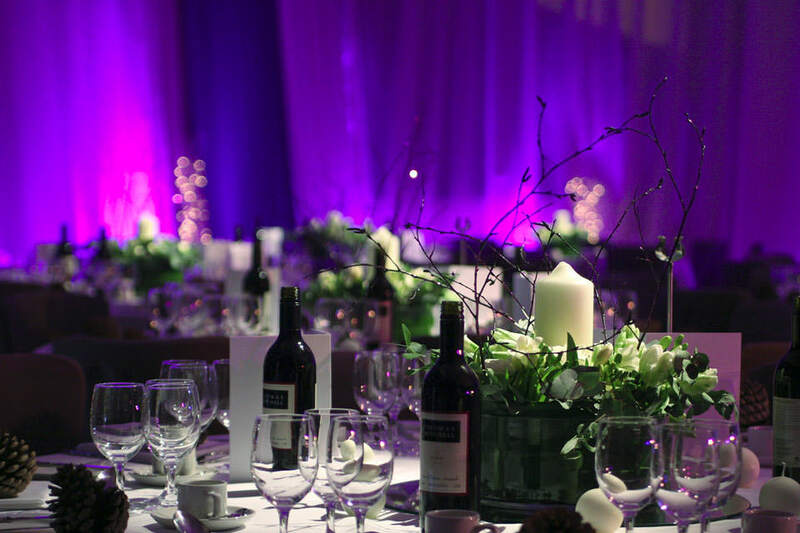 Our wedding and events team are on hand to help with any organisation, theming and planning with event catering provided from The Hangar’s dedicated kitchens – prepared and served by the Milsoms Kesgrave Hall team, part of the Milsom Hotels & Restaurants group. It’s true to say that nothing is too much trouble for our team. Whatever your event and however you imagine it, we’ll be delighted to create just what you want. 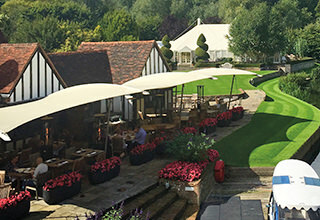 Milsoms Kesgrave Hall is a joint initiative between Hills Group and Milsom Hotels Ltd, bringing together outstanding craftsmanship from a highly accomplished and reputable developer and industry leading hospitality from East Anglia’s pioneering hotel and restaurant brand. This exciting partnership, which combines expertise in hospitality and planning, as well as property development and construction, has allowed us to create an end product that’s perfectly aligned to the original vision and concept. We’ve served over 500,000 guests since launch and have most recently added a 300-capacity event space – The Hangar – complete with dedicated kitchens, VIP entrance and landscaped gardens and woodland. 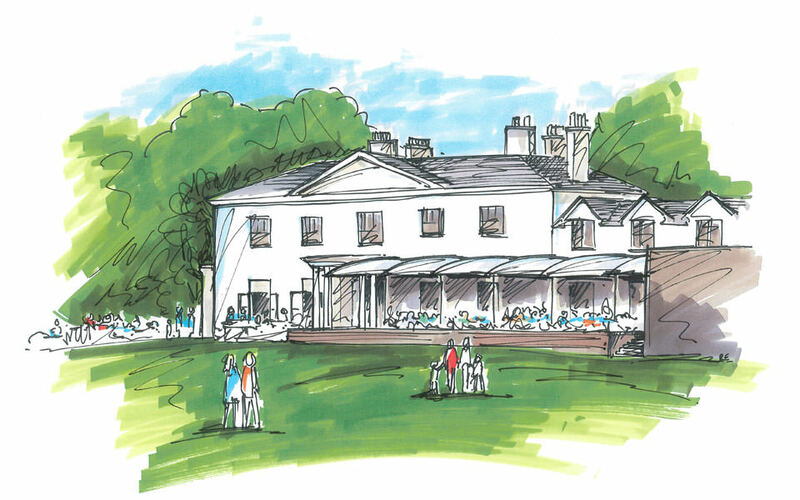 And it does not stop there, we’re currently looking at additional development of a number of lodges within the grounds – further establishing Milsoms Kesgrave Hall as Suffolk’s ‘go to’ hotel destination. The Hills Building Group is a collection of construction and development companies based in Colchester and has over 80 years of experience, combining meticulous craftsmanship with both modern and traditional methods to produce stunning properties. 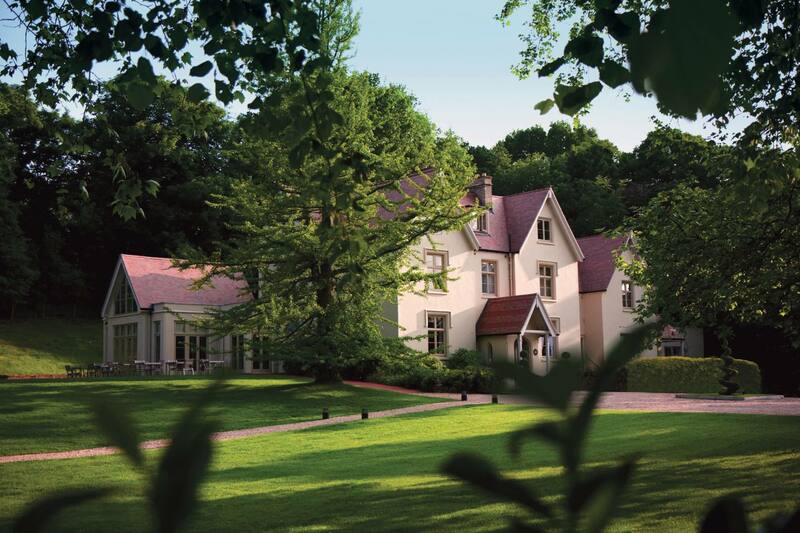 Set in woodlands just north of the village of Kesgrave, country house hotel Milsoms Kesgrave Hall is on the outskirts of Ipswich, in Suffolk. 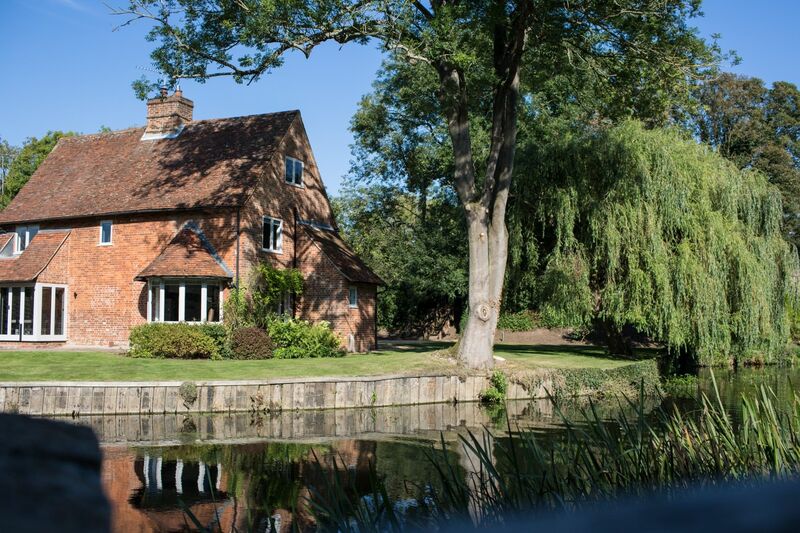 Milsoms Kesgrave Hall enjoys stunning surroundings, with 38 acres of grounds including a stream which joins the River Fynn, which in turn is a tributary of the Deben. If travelling from London, take junction 28 of the M25 onto the A12 and follow signs for Ipswich. At the junction of A12/A14, follow signs to Felixstowe (you are now on the A14 for a few miles). Left on the A12 (signed Yarmouth/Lowestoft). Proceed over three roundabouts. At the fourth (traffic lights), turn left onto the A1214, after approx 600 yards turn right into Hall Road. Milsoms Kesgrave Hall is on your left. Leave Ipswich centre along the A1156 before joining the A1071. Continue along this road for approximately 1.5 miles before joining the A1214, signposted for Woodbridge and Lowestoft. After 4.5 miles, turn left onto Hall Road – signposted Bealings – and continue until you reach Milsoms Kesgrave Hall hotel. If arriving by train at the Derby Street station in Ipswich, you can travel to Milsoms Kesgrave Hall by either taxi or bus. If you’re taking the bus, walk south along Derby Road until you reach Rosehill Road, adjacent to which you can catch the 802 bus towards Rushmere . Alight after 12 stops opposite Gordon Road and board the number 64 towards Saxmundham. Leave the bus after 18 stops opposite Dobbs Lane and walk to Hall Road, which will take approximately three minutes. 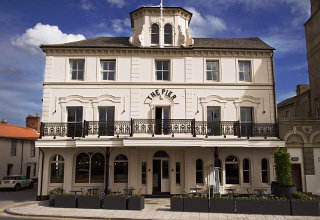 Charming luxury Suffolk hotel in a fabulously relaxed setting. 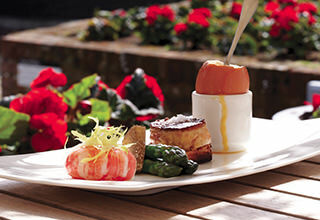 Enjoy a glass of fizz or Sipsmith Summer Cup on arrival, followed by a special summer three course dinner from Executive Head Chef Stuart Oliver, coffee and chocolates. We'll also have dancing courtesy of Dreamwave Events.